Chrome Polished Mesh White Leather Chair is a premium executive chair shown in mesh back with white leather upholstered seat pad and fixed arms. This thin profile chair collection is offered in many variations including mesh back and fully upholstered chair backs. Choose from high back or mid back options. Synchro tilt and conference chair tilt offered. Arms are fixed or adjustable height task styles. This chair looks great in durable faux leather upholstery and real leather. Choose your own fabric in any color. Need help choosing a fabric or textile? We’ll help you and provide fabric samples. This is a beautiful go to high-end chair option especially for conference rooms and executive offices. 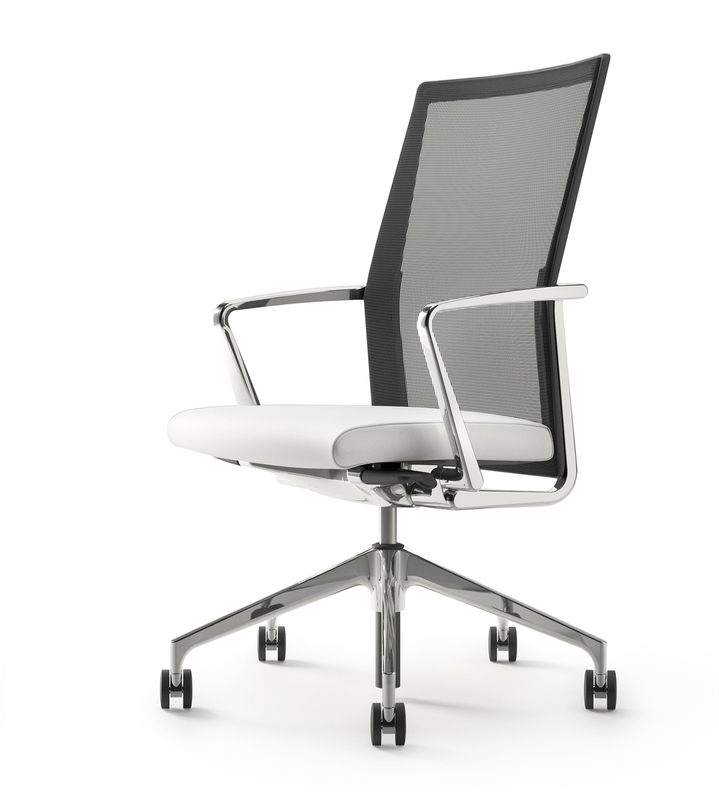 The Slim Profile Mesh Conference Chair works beautifully in any part of the office, loft and home office.